Some people might believe time hasn’t changed the leader-class of the past much, but in fact, the affluent who possess luxury items today have, for the most part, collected these items as a result of a lifetime of hard work and strong desire — and as a symbol to themselves that they have been successful. Sales of properties in the $1 million range are a small percentage of the overall market in the Reno-Sparks area. However, we at Dickson Realty have studied to become experts in luxury real estate since 1988. At that time, although the luxury benchmark was less than $1 million, our luxury buyers were doctors, executives in entrepreneurial businesses in our area, and ranchers — along with some fascinating people, such as the founder of Hunting World, who purchased the first $1 million property in Reno in 1987 from Dickson Realty. We consider luxury real estate sales an important part of our real estate market, even though it is only 2.4 percent of the overall market in our area. We study and train agents to represent buyers and sellers in this price range because we have offices and sell real estate in the region, which includes not only Reno-Sparks but Truckee, Lake Tahoe and Plumas County. In 1988, we joined a small group of independent brokerages that formed an organization called Great Estates, which was purchased by the famed Christie’s Auction House. We remained affiliates of Christie’s until 2007. In that year, we joined Luxury Portfolio, a network of more than 650 leading firms around the world. We consider luxury real estate sales an important part of our real estate market, even though it is only 2.4 percent of the overall market in our area. We study and train agents to represent buyers and sellers in this price range because we have offices and sell real estate in the region, which includes not only Reno-Sparks but Truckee, Lake Tahoe and Plumas County. In those markets, there are many more $1 million-plus properties. Luxury sales are important because in order to have a robust and healthy market, you need to have all price ranges represented. 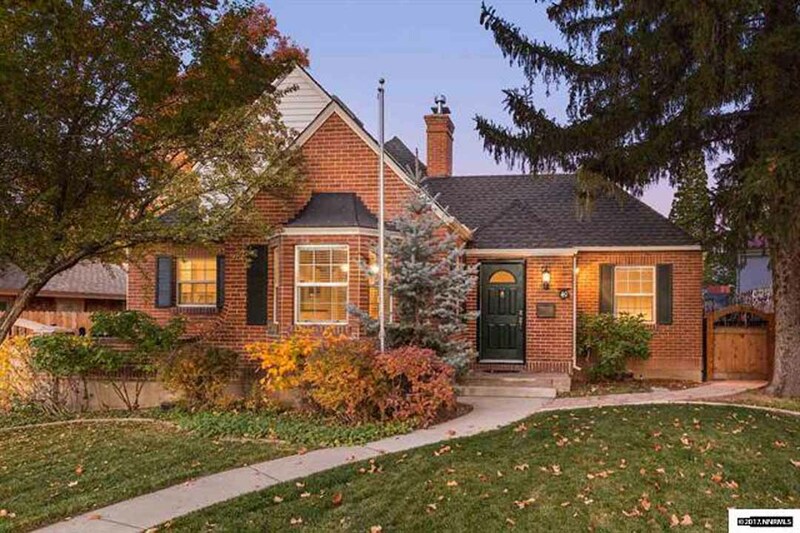 In the Reno-Sparks market, 92.1 percent of all sales are under $600,000, with sales almost evenly split between under $300,000 and over $300,000. So why is the luxury category special? We survey the agents who handle luxury sales monthly and we find in our market about half of the 120 sales year to date have been local families that have “moved up,” opening inventory in lower price ranges. This is a growth area. In 1987, there was one sale over $1 million. Over the years, the market has grown and will continue to grow because personal wealth in this country, and in this region, continues to grow. Finally, it is about who these buyers and sellers are: the principals and executives of companies either existing or moving into the area who bring jobs; people moving up who spend money in the community and are philanthropic, supporting institutions such as the Nevada Museum of Art, the Philharmonic and the Chamber Orchestra. Not all agents work in the million-dollar-plus sales price. In order to be successful, our agents obtain additional training, develop in-depth knowledge of the neighborhoods that are “luxury,” understand the construction, the architect, the type of architecture, and the finishes and amenities the affluent want, and most of all, understand their motivation. Recently, Stephanie Anton, executive vice president of Luxury Portfolio International in Chicago, spent several days with our clients and agents sharing her knowledge and experience of the affluent global market and how it impacts us in Northern Nevada and California. For affluent families worldwide, the number one goal in life has become fulfillment — at work, at home and in their personal development. Stephanie shared Luxury Portfolio’s vast research and discussed the five primary trends that are the foundation of luxury living. The second trend is the ability to understand the difference between good and excellent. The third trend indicates luxury is increasingly independent, and that more affluent people prefer brands that are not mainstream. The fourth trend is that the desire to collect is passion-based. Their collections are the expression of what they love, and a desire to possess the best a category has to offer. It is not about quantity, it is about quality. Collections extend beyond objects and travel is the No. 1 discretionary spending category. The last trend is the decline in brand power. Brands are losing their power to influence purchases on name alone. In residential real estate, this trend validates the power of a strong local brand with in-depth local knowledge. What are the wealthy looking for? Affluent consumers have reached a point where quality is not enough — it is expected. They are looking for something new and different. In showing home buyers million-dollar-plus properties, they will look at many. Few of these buyers are looking to renovate or buy an older property. Privacy, energy efficiency and environmental design are important to these home buyers. Specifically, they want a master suite with a luxury bathroom, walk-in closets, and outdoor living and entertaining space with an open floor plan throughout. The message I would leave you with is: Yes, our market is strong, but not without challenges. Yes, our luxury market is growing, but keep in mind there have been 120 sales from January to September of this year, and in listings over $1.5 million, there is still substantial inventory. Elon Musk is likely not going to purchase your home. Chances are, it will be someone already in the area. If you are looking to buy or sell a property over $1 million, call a real estate agent who works in the market and understands who the clients are in this market, and where they are coming from. 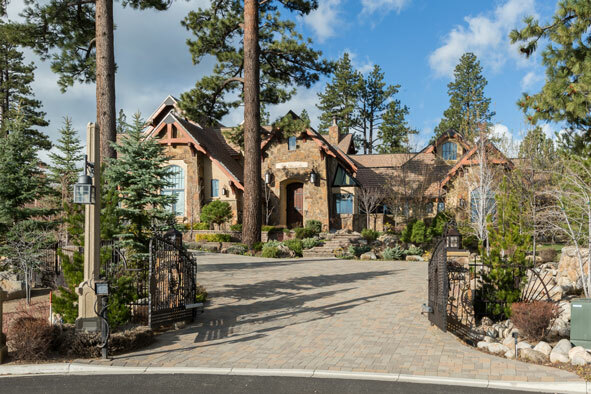 For more information on the local luxury home market, take a look at our latest Luxury Trends Reports for Reno and for Truckee-Tahoe. Nancy Fennell is the president of Dickson Realty.